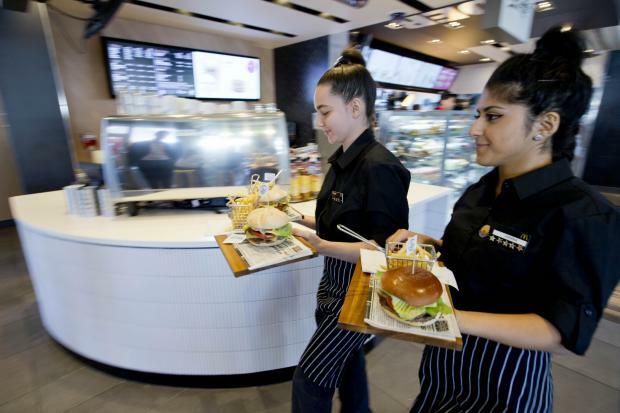 McDonald's has launched a new customisable burger menu dubbed as 'Create Your Taste' at Castle Hill this week, in an effort to adapt the service and food experience to suit the changing pace of McDonald's customers. The location is meant to be a 'Customer Learning Lab'. Three more similar locations will open before the year ends and ten more by 2015. According to the chain, the store uses digital kiosks, where customers can build their own burgers from scratch, choosing from 19 ingredients. Customers are also treated to table service, allowing them to sit down and enjoy a drink while they wait for their creation to be made fresh off the grill and brought to their table.